A recent article published by Zillow states that, on a national scale, 33.9% of renters looking to buy in the next year have student debt. 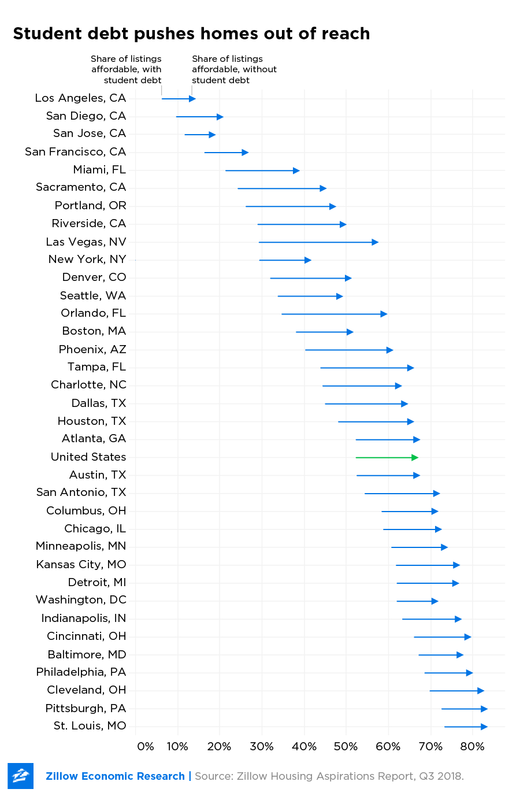 Zillow researched median income, median home price, and the average monthly student debt payment of $388 and graphed these points to compare various metros. As you can see, Baltimore lands near the bottom, meaning that future homebuyers with student debt can better afford housing than those with debt in other cities. With future homebuyers spending 30% of their income on mortgage payments, the Baltimore area’s maximum home price for a person with student debt is $392,500, while the maximum home price for a buyer without student debt is a whopping $484,900, higher than almost all of the other metros mentioned in the list. With a median home value of $265,600 in the Greater Baltimore Metro, the share of affordable listings for a homebuyer with student debt is 67.2% and 77% for homebuyers without student debt. Even though these numbers may be higher than some people’s comfort zones in their budget, the fact that the low end of the affordability scale is higher than the median home price in the Baltimore area will give buyers a good selection of homes from which to choose. Compared to other cities across the nation, Baltimore is a standout for home affordability, even when taking student debt into account. One reason is that the region’s median income is high relative to housing prices. With a median income of $78,788, Maryland compensates its workforce well for its knowledge and hard work. 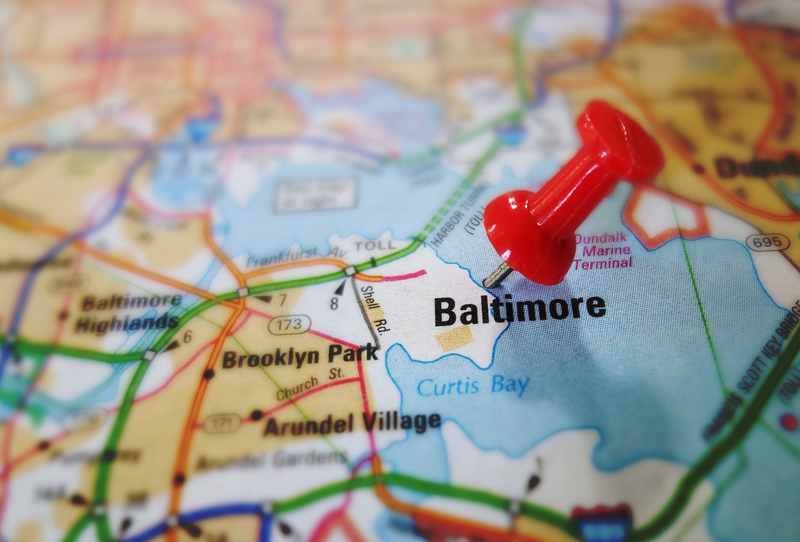 Known for being one of the best educated and highest paying areas in the country, Baltimore boasts affordable homeownership for those who live in this region. While housing can be more expensive here compared to other parts of the country, few can match the job opportunities and high salaries that come with such a diverse and dynamic region as central Maryland.